Creating Abundance by Changing Your Bathroom! Did you know you could create abundance by making these changes to your bathroom? 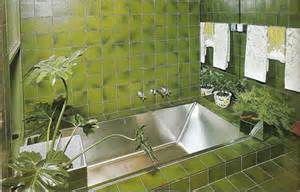 A bathroom is one of the places where you can incorporate Feng Shui for the purpose of wealth. There are different strategies that you can use to accomplish this. Let’s check out my tried and true! Oh..I’m so excited to share. Did you know that certain of earth’s elements work so well together that they create such energy so as to change your world?? From the different elements, you should use different colors to achieve your goal of attracting wealth from using Feng Shui. For example, if you incorporate wood into your bathroom design, you should use brown and green; If you incorporate water into your design in the form of waterfalls or wall art, or even tiles, to create the feeling of the ocean or water, use blue and black; with Earth, like clay or terracotta , you can use colors in the yellow and brown collection, such as light yellow or light beige. You can purchase Feng Shui crystals to use. Mix them up using amethyst, citrine, rose quartz and others in the crystal family. This combination can create a wealth cure in Feng Shui. Place a pretty bowl on your counter containing the crystals. This is not only eye candy, but it is working for your abundance! Another Feng Shui cure for wealth and abundance is to have 8 stalks of Lucky Bamboo. This cure is used by a lot of people and bamboo can be found in plenty of floral retailers. Purchase a tall vase or even an umbrella stand and place in bathroom in a corner for beauty. For a more dramatic effect, if you have tall ceilings, have a contractor install giant bamboo to the ceiling. Wow factor guaranteed! Take care of your bamboo for lifelong beauty. There are people that don’t take care of bamboo like they should. Bamboo is very easy to maintain. Ask your florist for best results. Bamboo represents tranquility and relaxation. All five elements of Feng Shui have a part to play in the bamboo plant. Decorate your bathroom so that it looks like a spa. This is easy. Stick to white towels and lots of them!! Install sound system and purchase all white scented candles. A spa is a place where you go to relax. Entering into your bathroom should conjure of feelings of beauty and tranquility and most importantly, bliss. Remove any excess or clutter that doesn’t need to be there. And just so you know, nothing needs to be visible! There should be enough storage to put your toothbrush and toiletries out of sight! Get rid of expired items and thing s you have not used, like the foot massager your grandma bought you 10 years ago! You want to have things in your bathroom that represent positive energy. It’s also important that the lighting is good as well. All lights should be on a dimmer for greatest effect! Whatever wealth means to you, put it in the bathroom. It could be a picture, a poem or some quote that will remind you of wealth. In my bathroom, I have a picture of my family and a check for $1,000,000.00 in a frame. http://fengshui.about.com/od/designbyroom/qt/homespafengshui.htm discusses ways to create the pacific serene room we all desire. The toilet seat should remain down when not in use. This will show that the energy will be maintained and not spread out everywhere outside of that area. And yes! I am serious! Check out http://www.care2.com/greenliving/8-steps-to-feng-shui-your-bathroom.html to see exactly why bathrooms at one time were a place to keep shut off from house to avoid bad chi(energy). You will also see why toilet seat should be down when not in use!